Three-counties cycle ride tours shale gas sites – DRILL OR DROP? Cyclists take to the road tomorrow (Saturday 22 September 2018) for a ride that tours five current and proposed shale gas sites in Nottinghamshire, Derbyshire and South Yorkshire. The route, which covers 92 miles and has 3,700ft of climbing, aims to raise awareness about shale gas exploration in the region. It begins at Blyth, near the Tinker Lane site where IGas is expected to begin drilling before the end of the year. The route then takes in sites at Marsh Lane in Derbyshire and Harthill in South Yorkshire, where Ineos has permission for vertical coring wells. From there it goes to Woodsetts, where Ineos has twice been refused planning permission for a coring well by Rotherham Borough Council. Cyclists return to Blyth via Springs Road, Misson, another IGas site, where the rig to drill the initial conductor pipe, was delivered yesterday (Thursday 20 September 2018). The ride starts at 8am at the White Swan, Blyth village green. People can join the event for free along the route. There are stops for food at Bolsover, Woodsetts and Mission Springs. Good morning ladles and jellyspoons, its Sunday again and the seasons turns to mists and mellow fruitfulness, which in English parlance means rain of course. congratulations to the Tour de Frackshire Three-counties cycle ride tours shale gas sites. Peaceful protest is where this will always be fought. Elsewhere we see it is hurricane and typhoon season and these are now being called “super” hurricanes and “super” typhoons with unprecedented wind speeds and destruction and loss of life. Perhaps we should call it “super” climate change in “honour” of the fossil fuel pump designation of “super” fuels and “super” and climate change “super” deniers of course? Here at home we seem to have entered the silly fracking season as well? With the “from out of town” travelling fracking pre emptive In Junk Sham circus coming to a village, town, city and practically every beauty spot near you? Delightfully and amusingly escorted and outnumbered by the slow walking brightly costumed troupes of scowling yellow jacket scary “frowns”? Sort of anti anti scary “clowns”, tripping over their enormous Bob Martins…..and throwing buckets of cold water over the proceedings. No doubt each provided with the standard issue government corporate industry blinkers so that they cannot be allowed to see any illegal activity by the operators of course? Whilst simultaneously concentrating solely on the local populace who might dare to actually stand up and raise a voice in protest and then for the frowns to descend upon such outrageous behaviour with faked up illegal eviction notices akimbo? So let’s be silly and have some fun shall we? It was National Hobbit Day yesterday, and it is J R R Tolkien month this September, I managed to watch the first two “Lord of the Rings” movies this weekend, maybe I will watch the third tonight. And then of course there are The Hobbit prequels? I may not last that long? I did manage to dig out my ancient copy of the book though, I always did prefer the poetry and verses of the book from the violent movies which seemed to concentrate on fighting and battles and be almost entirely absent of the beauty of the language that J R R Tolkien used in the books. Why do I mention this in relation to fracking and its associated avoidances of the word? Well watching the first two movies again, I noticed something that I had noticed before, but did not pursue. J R R Tolkien wrote The Hobbit and laid down the background to The Lord of the Rings trilogy, whilst writing to his children during the second world war, and the events unfolding then certainly influenced his later writing of a great evil in the world that threatened Middle Earth’s, England’s and hence the worlds “hearth and home”, still relatively unspoiled in those times. There are however certain interesting parallels to be drawn from these books with what is happening in the UK at the moment. 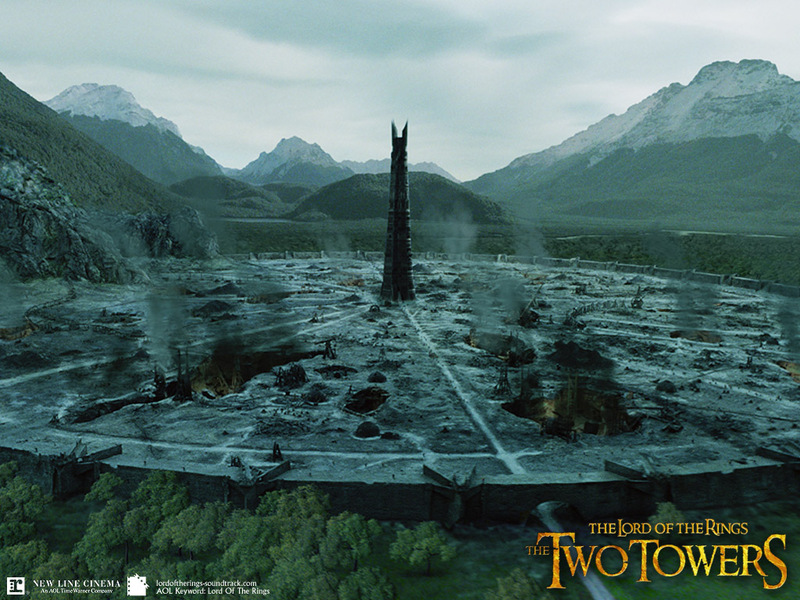 The films omit the “scouring of the Shire” where the traitorous Saruman and his odious henchman “wormtongue” invade The Shire in revenge for their defeat at the ruined Isengard, flee to seek out the Shire and ransack and lay waste to it and turn it into an industrial wasteland turning the inhabitants, the “residents” into slaves to feed their machines. Does this not look like a gas flare to you? Weren’t there never to be a gas flares in UK with our “gold standard” regulations? What happened to that promise I wonder? In the Land of Morabhor where the Shadow lies. 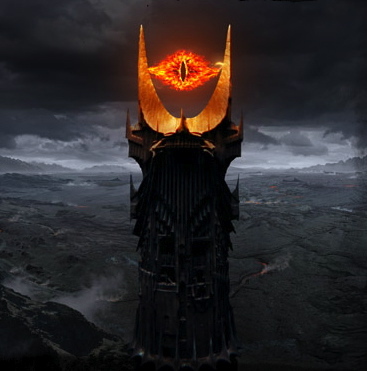 As always have a great Sunday with family and friends and when those orcs accompanied by the scary frowns come to ransack and industrialise your community, their weakness is in that gaping aching hole where their heart used to be…..